CSS Minifier is a free web interface tool that helps you to minify or compresses the CSS code by reducing the original size. It speeds up your website by removing some unnecessary characters, white space, line breaks, empty CSS declarations etc. from the code. With more people browsing the internet via Computer PC’s, mobile devices and other devices, minifying CSS files can render web pages faster. 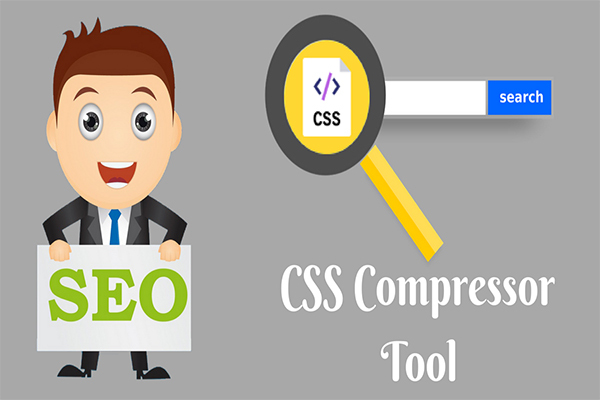 The CSS files are external to the web page that have .css extension help define font, color, size, border, location in various programming languages. The main purpose of minifying CSS files is to maximize the speed of website on various devices. It can make a script up to 20% smaller, that helps in fast downloads. CSS minifying can get your website a high SEO (search engine optimization) score by making it more responsive as well as faster loading the web pages. The main window interface of CSS Minifier tool has two panels are Input CSS where you can minify, download as a file, RAW and use clear options, and the next panel is Minified output to select and remove all the CSS codes or characters. You can choose the languages by clicking on wget, curl, node.js, python, ruby, pearl, PHP and C# for easy minifying the CSS codes. It is the smallest CSS Minifier tool that reduces and displays the compressed size of CSS files. Minifying your code removes white space characters, comments, newline characters, and blocks the delimiter. CSS Minifier tools easy to use and has many benefits in reducing the HTTP request by compressing the CSS elements. However there is no drag and drop option, you can copy the CSS elements into the application interface and minify. Overall an effective solution for the professional web-designers and developers for compressing CSS elements and improving the speed of websites.